Maybe you’ve had Ommegang’s Three Philosophers, a Belgian-style Ale, produced in Cooperstown, NY. Maybe you’ve just heard of it. Regardless, if you’ve heard of the beer, you had to have wondered who the philosophers were. When I first had it at Brewco, a California chain of brewpubs, someone asked if I knew who they were. I had no idea — I guessed Plato, Socrates and some other Greek. That was shot down and my drinking partner said he thought it was a reference to Belgian philosophers, though he didn’t know who. We Googled and got nowhere, testing out many theories along the way. The brewers then extrapolated from the personalities of the characters to opine on the beer they had produced and was presumably nameless. 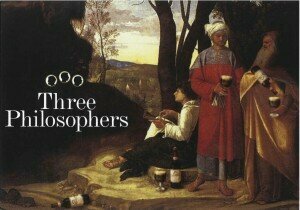 The Three Philosophers, is a painting from early 16th century Italy, so the beer presumably takes its title from that, as if Blake’s characters were in the painting. If discussing the beer, Quid would question why the beer is necessary, Sipsop would question how it was possible to make such a beer, while Suction would simply enjoy the beer in all of its glory. Blake hated Suction and the materiality he represented. Obviously, the Ommegang brew squad feels differently. It gets kind of meta to think about how a beer was named for three fictional characters theoretically talking about it. Three Philosophers represents a pretty far-out idea to use an arcane novel as inspiration for naming a beer. For that, it’s an awesome name. 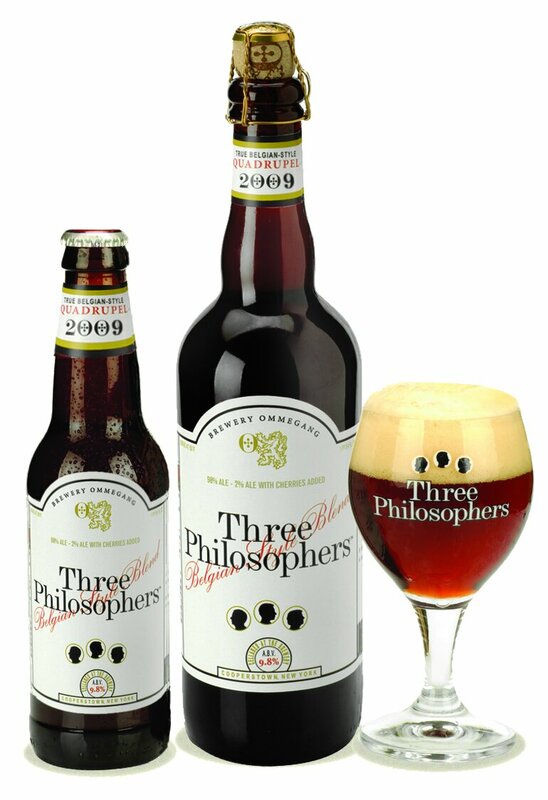 Three Philosophers is a Quadrupel Belgian-style ale. It’s known for it’s dark flavor and has one numerous awards, as well as being highly-rated by a number of publications. Since, this is The Efficient Drinker, getting calorie information is sort what we do, but the brewer didn’t provide that information directly. Using 9.7% ABV and doing some geek math on the Original Gravity and Final Gravity gets us to an estimate of 290 calories per 12 ounces, or about 65% efficiency. Not bad for a tasty beer! I have been looking at beer this way for a while (efficiency) and stumbled across this web site trying to find calories for Brooklyn Brown Ale. I have lost a little over 30 pounds so far this year and will definitely be referring to the efficiency tables for my future beer purcahses. Tops on my list will be Dogfish Head 120 minute – I love this beer if I can find it (had 1 while cutting the grass, lucky to still have my feet), Flying Dog Brews look to be efficient, New belgium Triple, and 3 Philosophers is 1 of my favorites, too. Thanks for all of the info. Glad to provide all the info. Great progress with your weight loss this year George! I’m from upstate NY, and there was an Ommegang representative handing out free samples of this beer. When I asked him who the three philosophers were, he told me that it was the 2 guys who invented Google, and the guy who created the beer. Omega gang rep probably confused meaning of philosopher with that of genius. Philosophy (or philosopher) could hardly create anything remotely as good as Google or beer.